« You can’t prepare for this! If you are a specialist who is hungry for work, there are some warning flags you should be aware of when receiving the call from another company owner and those catfish that claim to have a company. To save yourself from headaches later on you should always do some vetting of your own. First off, no established company owner will cold call you without having done some preliminary vetting of you. Facebook, twitter and the like is NOT vetting. If that is their sole source of knowing who you are, then you are in trouble. Any experienced specialist or company owner will have some level or investigative intuition that will kick in before he/she puts you in their client’s space. They want to know if you are trained, professional and carry an ethical barometer that will always be ON. Likewise you should do the same. Check the governing body in their state and make damn sure they are at least licensed to provide those services in their area of operations. Make sure they have a valid and current license. Make sure it is NOT suspended or revoked and if it is that is a sure sign you should run for the hills. There are other tell tale signs in behavior that are warning signs of a wanna-be. Most journeymen in this industry will not pick up on them because they are too overwhelmed with getting the call. If you are always receiving a call about a new detail [always high profile] and you ask your normal questions: When does it start, how long is the detail, where is the AO etc and then the catfish says I will call you back. You never receive the call so you follow up. Then you get the typical catfish soundbite, “It’s staffed.” That detail NEVER existed. In these times no one company out here is covering each and every high profile topic that is hitting the news. Especially some unknown entity in the industry. Be a GREAT specialist, not a good specialist and definitely not an average one. 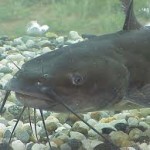 Check every source thoroughly and if it swims at the bottom of the river, has a big mouth and feeds at the bottom it is a catfish and you don’t want them to bring you to their level. Strive high and protect yourself and your image. Your honesty and dedication to this industry is greatly appreciated. I think anyone who wants to get into this industry should read this blog and decide if they really have “what it takes”. Thanks Josh. What prompted this blog was one catfish in particular that is edging his way to the BPI SCAB classification. He’s so close I have to bridle the urge to lure him across the line. He claims to be everywhere and is calling specialists to work jobs that don’t exist yet just to make himself a legend in his own mind. Kitchen warrior! Great post Eric. I was talking to a very seasoned professional in the UK a few weeks ago. He mentioned in the past, when people needed an asset in his part of the world, they did their research and asked around. –part of the standard vetting process. Nowadays, he feels with the rise of facebook and the “talking heads” that people just take someones word for the skills (or jobs) they claim to have, just because of their frequency of posting. I could definitely see his (and your point). Exactly Elijah. 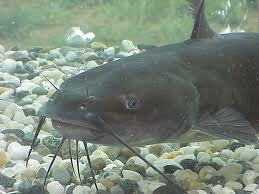 And as far as those catfish that seem to be in every city or town as soon as it hits the news? I’m calling B*LLSH*T!